One of the things I miss about living in a house is that I don’t have a yard, so I can’t plant a garden. I don’t really have a green thumb or anything, I just like to pretend! I’m really lucky though, because my awesome new loft has a great patio. 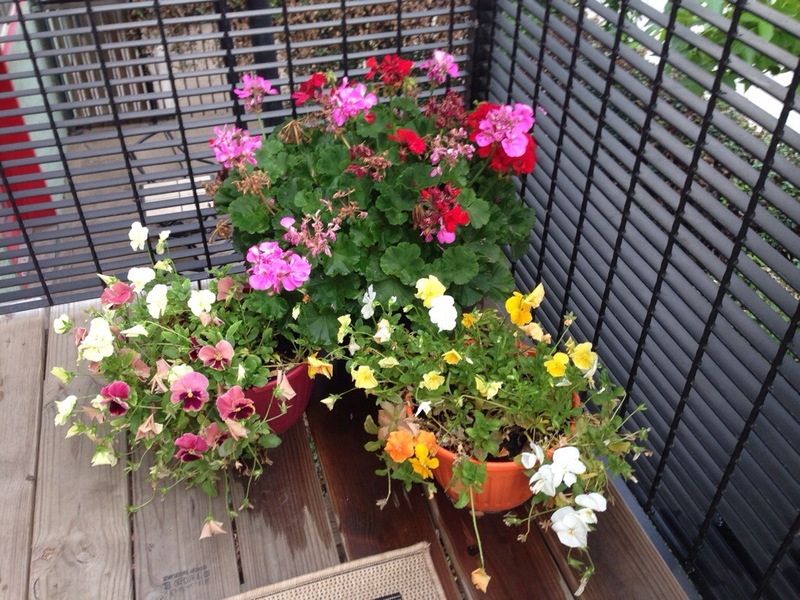 I decided to use some of my patio space to plant a potted garden. 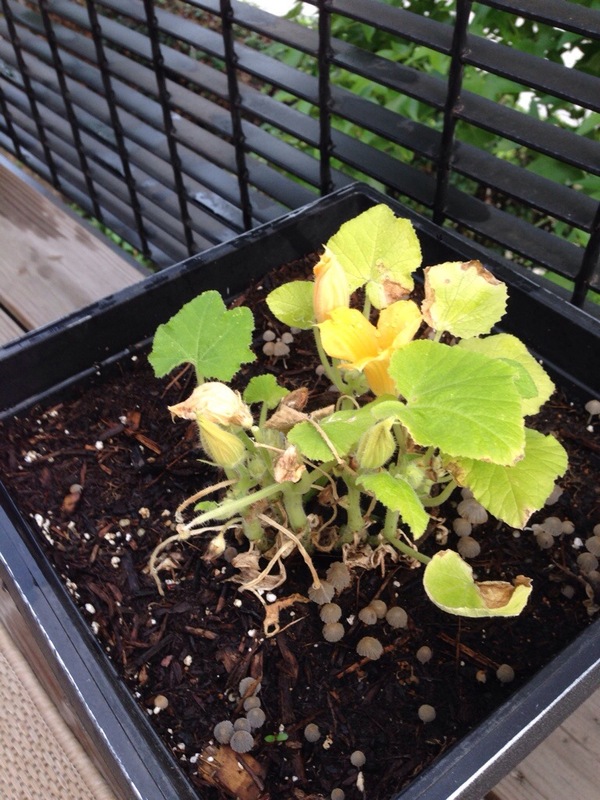 Right after I planted it, it got cold again, then it rained a lot, so I think that my plants may not make it, but I’m going to keep trying with them. I planted a jalapeño pepper, squash, flowers, and tomatoes. 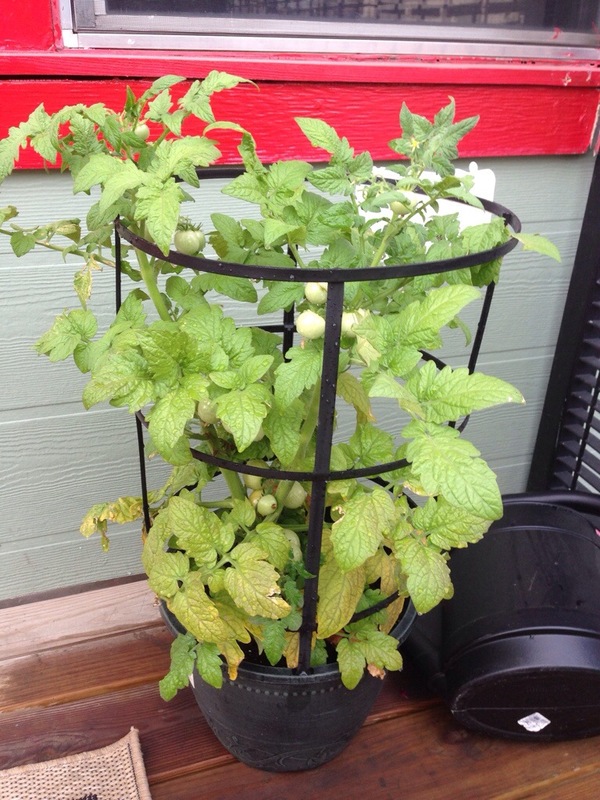 I’ve already had a huge harvest on my tomatoes as you will see in the picture!! 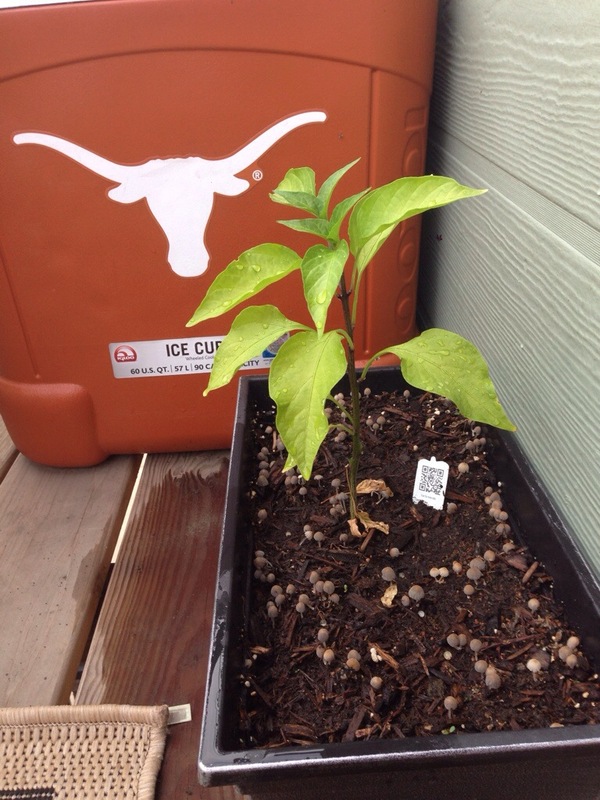 Jalapeño pepper – as you can see there are mushrooms growing in the dirt. I’m sure that’s from all the rain. The squash doesn’t look too good. I read that when it gets yellow, it has too much water. All the rain must not be good for it. I just thought the red and pink flowers were pretty. The other ones are left over from my camping trip.